Con Pierson of Beaumont (from left to right) talks with Rodney Cole of Beaumont and Stacie Munselle of Buna during the Cattle Baron's Ball in the Harvest Club at the Beaumont Fairgrounds on Saturday, March 25, 2006. 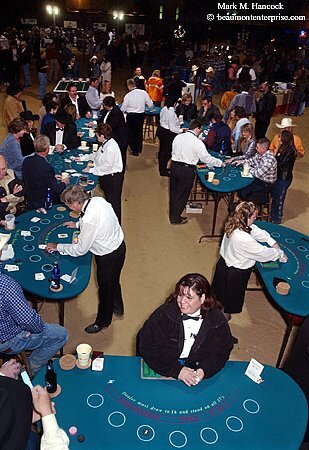 The event was sponsored by the American Cancer Society. Erika Salinas (bottom, center) with Casino Parties Unlimited of Houston prepares to deal cards for a game of blackjack during the Cattle Baron's Ball. 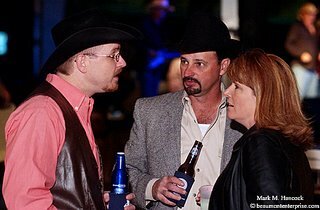 Joe DiBlasi with Casino Parties Unlimited (left) gives stud poker tips to Dr. Lee Haak and his wife Heather Haak during the Cattle Baron's Ball. 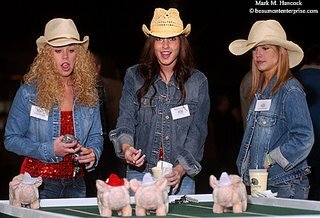 Brixey Blankenship (from left to right), Tracey Stelly and Amber Quebedeaux of the Lamar Spirit Team race mechanical pigs during the Cattle Baron's Ball. Jon Burris (left) and his wife Dawn Burris (right) discuss auction items during the 9th Annual Torch Awards for Marketplace Ethics at the Beaumont Civic Center in Beaumont on Tuesday, May 18, 2006. 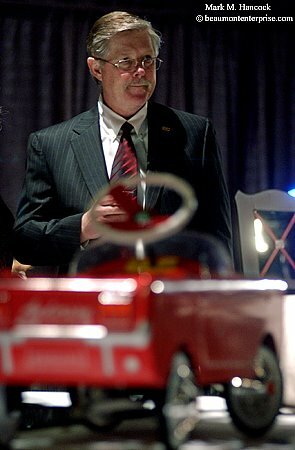 Ron Roberts, executive vice president of Orange Savings Bank, looks at auction items during the 9th Annual Torch Awards for Marketplace Ethics at the Beaumont Civic Center. Anderson Ford Mercury won in the small business category and Texas Marine won in the large business category. John Stossel, co-anchor of ABC's 20/20, eats dinner before his presentation at the 9th Annual Torch Awards for Marketplace Ethics at the Beaumont Civic Center. 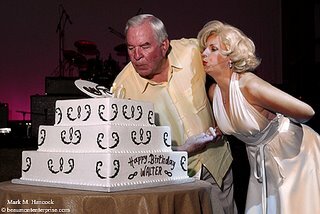 Prominent attorney and philanthropist Walter Umphrey gets help blowing out his birthday candles from a Marilyn Monroe impersonator during his 70th birthday party in his private airplane hangar at the Southeast Texas Regional Airport in Nederland on Saturday, May 13, 2006. Rock legend Jerry Lee Lewis, 71, performs during the 70th birthday party of Walter Umphrey in Umphrey's private airplane hangar at the Southeast Texas Regional Airport. 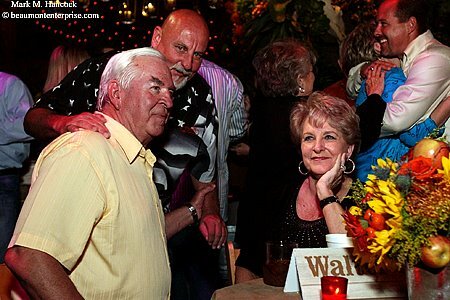 Walter Umphrey (left) and his wife Sheila Umphrey (right) are greeted by a string of well-wishers during his 70th birthday party in his private airplane hangar. U.S. Congressman Kevin Brady (R-The Woodlands) introduces his mobile district office in Kountze on Wednesday, April 19, 2006. He and his staff are in the process of touring 11 Southeast Texas communities in converted recreational vehicle used as a mobile district office. U.S. 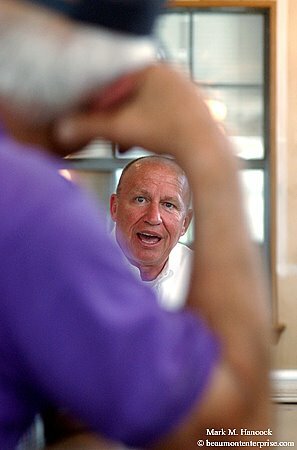 Congressman Kevin Brady (R-The Woodlands), center, talks with Fred Johnson of Kountze at Mama Jack's Restaurant in Kountze. U.S. 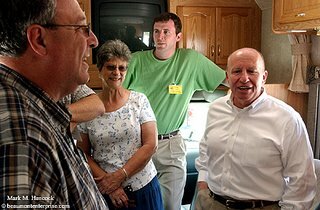 Congressman Kevin Brady (R-The Woodlands), right, introduces his mobile district office to attendees in Kountze. 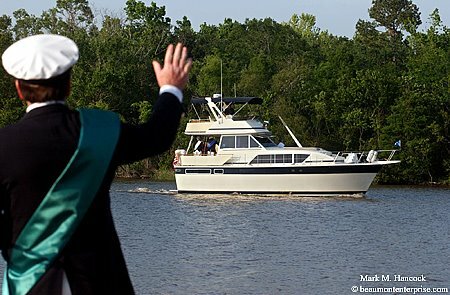 Neches River Festival 2006 president Skylar Thompson welcomes the king's court yachts during the King's Arrival and Media Party at Riverfront Park in Beaumont on Tuesday, April 18, 2006. 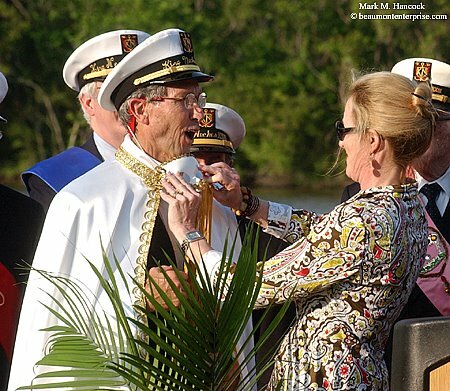 The 58th annual Neches River Festival honors and presents scholarships to high school students. This year's Neches River Festival king Gary Christopher arrives in an unusual style during the King's Arrival and Media Party at Riverfront Park. The festival king arrives wearing a mask and is unveiled as part of the festivities. Neches River Festival social chairman Lee Mann (right) unmasks this year's NRF king Gary Christopher (left) during the King's Arrival and Media Party at Riverfront Park. 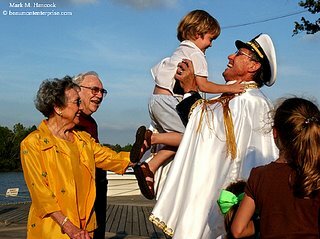 This year's Neches River Festival king Gary Christopher (right) lifts his grandson John Davis Watson, 3, in victory during the King's Arrival and Media Party at Riverfront Park. 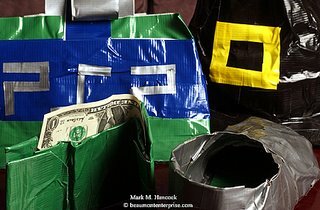 Some items James Schiesler, 11, has made from duct tape include a wallet, a Play Station 2 holder, slippers, a pilgrim's hat and a medieval helmet at his home in Vidor on Tuesday, April 11, 2006. 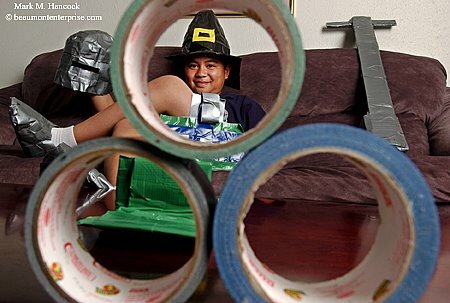 James Schiesler, 11, poses for a portrait with some of his duct tape creations at his home in Vidor. Some of James Schiesler's, 11, duct tape creations are displayed at his home in Vidor on Tuesday. 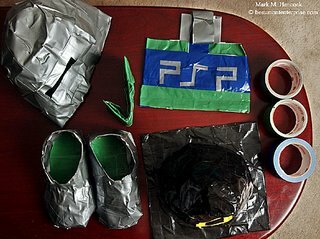 Items he's made include a wallet, a Play Station II holder, slippers, a pilgrim's hat and a mideval helmet. 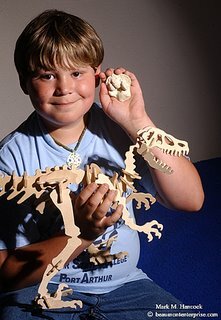 Garrett Guillot, 10, poses for a portrait with a plaster cast of a bobcat paw print and a model dinosaur at his home in Nederland on Thursday, April 27, 2006. He got the cast as a gift from his teacher during last summer's Discovery program at Lamar State College - Port Arthur, where he learned about trace fossils like the paw print. It's always hard to post images after interviews with Pulitzer Prize winners. I'll never have anything on hold to post that would compare to their work. Primarily because I tend to take "happy" photos while most competition award-winning photos aren't happy. So, I'll do the opposite. I'll post some "making lemonade," "stone soup" or "silk purse" images. These are images from less-than-coveted assignments. Look at the image and then ask yourself about the assignment and why it was assigned. Keep in mind that each photo assignment costs a newspapers anywhere from $200 to $400 or more (include PJ time, benefits, mileage, etc...). So, if the assignment is weak - for whatever reason - it cost the company the same amount as a quality assignment. In all cases, PJs must remember the subjects aren't responsible for the assignment (most of the time). They are often simply thrilled they'll be in the newspaper. So, as both of this year's prize winners noted, every assignment deserves a PJ's full attention and ability. Each shoot must be done as well as possible. This work ethic shows the PJ's professionalism and creates good will with subjects and readers alike. During the monthly meetings in Dallas, a standing joke was to say, "You get all the good assignments," to the senior PJs who squeezed coal into a diamond. It was an understood complement to the PJs' ability to do well under challenging conditions. Todd Heisler of The Rocky Mountain News is the 2006 Pulitzer Prize winner for Feature Photography. Please read his biography and interview Parts A, B and C.
Michael Ainsworth of The Dallas Morning News is a 2006 Pulitzer Prize winner for Breaking News Photography. Please read his biography and interview Parts A and B.
David Leeson of The Dallas Morning News is a 2004 Pulitzer Prize winner for Breaking News Photography. Please read his biography and interview Parts A and B. Please read Todd Heisler's brief biography as well as Part A and B of this interview. Could you talk about your own emotions as you covered these events? How did these instances affect you, and did your emotions impact the way you approached a photo? It was just an incredibly emotional journey, and we got really close. I think everybody out there has covered funerals and things like that, and we got really close to it. There are moments when I couldn't make a photo. Just because it was too personal, or I was fighting back my own tears. Some, I just couldn't do, and it really hurt. At the end of the day, when you're sitting by yourself, it comes back and hits you again. There's a lot of things. There's the sheer emotion of it. There's guilt, whether it's warranted or not. You really think about your role as a photojournalist. I feel like with the response we got from the family and other people - the way we handled it, I think it worked out. The more you do it, the harder it becomes. Back to Major Beck and the things that we learned from him. He has the same people on the honor guard doing funeral after funeral. He said it shouldn't get any easier. If it does, he'll take them off the duty because it shouldn't get easier. That was something that I thought about through this whole thing. It shouldn't get easier. At first, you think there's something wrong with you because the more you do it, the harder it gets. But then I realized that's a good thing. There were some situations where I just couldn't… especially when I knew I'd have to go back out and work with another funeral and another family. I'd get sick to my stomach, because I knew I'd have to go through that all over again. So, anytime I have another situation like that, I feel the same way. We went to South Dakota to do a ceremony at a high school basketball game. Well, then I would just wear jeans - how everybody else is dressed. But if it was a funeral, or I went to the airport, I would wear a suit. Was the American Indian funeral part of this series? That came afterward. I think all things are connected and that was the same honor guard that we had worked with. This was a couple of months after "Final Salute." They told us that they were going to go to this reservation and said, "You guys should really do this story." We talked to the family, which was just incredibly open. So we did that. It was different than "Final Salute" in some ways, but really it's just a continuation. It was still like being in that same place. I think the parents were really wise to tell the story. They wanted to see the pictures. That helped. There were some ceremonies I couldn't do, but even some people from other towns in that area that knew I was there, they were kind of surprized that the elders would let me take pictures. But, they were very welcoming. It was unbelievable. It was a high honor just to be welcomed there to witness that and to see that ceremony. It was like three days straight. We slept in the car. Slept a couple of hours at a time. Jim, the writer, got pneumonia after it. We ate balogna sandwiches and fry bread all weekend. It was a spiritual experience to say the least. I just wore jeans and very casual. Whenever I'd do those, I'd pack a suit and a tie and everything. We showed up at the funeral home the first day to drive to the reservation. 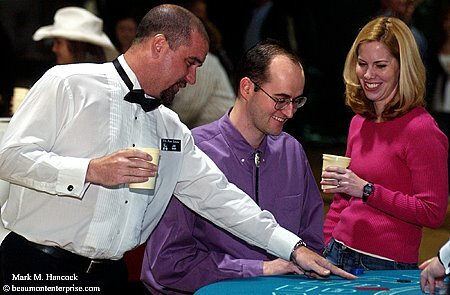 When I showed up, everyone was wearing jeans and stuff, so I just take the cue from everybody else there. That is a situation where you could have been overdressed. We stand out anyway because everybody there is Native American and then there's two white guys there. But, I think wearing a suit would have stood out even more. But, I'd rather be overdressed for anything else. How important is it to follow a code of ethics, such as what's provided by the National Press Photographer's Association. There's just no question. It's not even a question of how important it is. It's just so crucial, especially now that we have some sort of code and to follow it. That airplane photo from "Final Salute," I still get e-mails from people who think it's fake. They don't believe that all the faces are in the windows. They think it's Photoshop. I've seen blogs where people go on and on about it. That's a direct result of the public's lack of trust in what we do. I think the photojournalism community is pretty damn good in holding to those standards. So, I don't know where that comes from. There's definitely a lack of trust in the public's eyes because they understand technology now. They might have Photoshop or they use digital cameras. There are images where people just don't want to believe that it's real. We have a pretty big responsibility to keep to that. The rest of the [ethics] too. As technology gets better and more and more people are exposed to images from everywhere. We really have to hold to that standard. We all have our own standards, but something has to be written down. How did you start your career as a photojournalist and what was your first profesional assignment? I started my career as a photojournalist by working at the college newspaper [at] Illinois State - The Daily Vidette. I was an art major. I was always interested in photography, but I didn't know what to do with it. Later in my college career, I discovered the newspaper and photojournalism and fell in love with it. But I didn't have the strict background that you might have from Western [Kentucky] or OU or Missouri. I did an intership there in town in Wilmington. After that was over, I had to get out and find a job. After a few months of searching, I took a job at a small weekly in suburban Chicago and just worked my way up really slowly. I worked at the weekly for less than a year and got to know people within the community and Chicago and started trying to get help with my work. I got a job at another paper that was a little better. I tried to build on what I had done at the previous paper, but also what I couldn't do - things that I really wanted to do, but wasn't able to do because of time. From there, I moved to another group of weekly - I worked at a lot of weeklies. A group paper called Sun Publications, they're owned by Copley. That was the place where I felt like I really took off and found my vision. Again, I could build on the things that I couldn't do at the previous papers. The things that I knew I could improve on or do better, but I knew I could do better. What was my first assignment? I won't [include] the internship because I wasn't technically a professional out on my own, but my first assignment at my first newspaper job, they handed me three rolls of film and they told me to go out that day and find six feature photos. My heart just sank. I though, "Oh my God." The place where I was interning, people would drive around all day just to get one good one. Now they want me to go get six. What am I going to do. And I had three rolls of film. Could you do it today? Some successful photojournalist say early in their career they hope to change the world with their images and then later in life they feel unfulfilled because little has changed. Do you feel fulfilled with your work? I think everyone [who] gets into this thinks they can change the world. You look at all these great photographs from the past and think, "I would like to do that." Then reality sets in. I was working my way up very slowly working for small papers. I never thought I'd get to make change on a really grand level. I put myself into the little things. Try to make change in the very small ways that I could in my community - as little as it may be. As I got more mature in my career and done some bigger projects, I've actually been more optimistic about the possiblity of change - inspiring people to look at things differently. Right now, after last year and the response that I've gotten to my project, I believe in it more now than I ever have. I've been motivated beyond what I ever thought I was capable of. That goes back to what I was saying about the small things. You never know what kind of impact you can have. So any assignment you do or anywhere you do it has the potential to have a great impact. I think it's important to have them. I think there are many out there that keep the bar high. That's what they should be doing to try to elevate what we do and recognize what has been done, but try to raise the bar. Recognize the greatest - at least what we hope is the greatest - work of what's being entered. I think they're very important. They can help young photographers advance in their careers. It helps them get noticed. But at the same time, that's not everything. You can't do this job to win contests. If you do, I think your heart's not in the right place and I think people will notice. When we did this story, we didn't do it to win awards. We really became immersed in the subject and immersed in the lives of the people we were covering. When you get that close, you can't think about it. You can't think about awards. You shouldn't. Then, when we got done, we saw how big it was - it was almost surprizing how many awards it has received. That wasn't the motivation. You have to look at contests for what they are. One of my mentors, Vince Musi, was judging POY one year. They had just announced Photographer of the Year. He said these great words - and I hope they don't come off as off-putting or synical, but he said, This person is not the best photographer in the world. So, if you didn't win, that doesn't mean you're not a great photographer. This person just happens to have - at this particular moment - the best body of work among all the other portfolios that were next to it. I think it was a reality check. This is great work. It deserves to be recognized, but just remember what it is and what it means. I thought those were great words. Any contest, three judges may pick three completely different portfolios. You have to remember that. It's great when you win, but if you don't remember that's not the sole purpose of why we do what we do. Entering the Pulitzer competition is a daunting undertaking. Did you prepare the entries for all these competitions or did you get some help? You definitely need a couple of people to help you put it together. First of all you have to have a decent looking book with good presentation. Your pages have to look good. Your prints have to look good. They should be mounted well. You have to make sure all your captions are accurate the way that they were. You might be retyping them. Since it's a journalism award, you don't want to have typos in there. I think the most important part of it is the editing and how you put it together. For us, I think that was the most time consuming: trying to get the edit to something we could all agree on. We had about three or four of us. Janet Reeves, our director, myself and a couple of other photo editors, we'd go back and forth on exactly how we wanted to edit it for pacing and whatnot. Then we'd have a word person come in and look at the edit to [look for flaws] they notice that we may have missed. Since it's a print portfolio, you edit it differently than for POY. [For POY] you're doing slides and somebody's sitting in a room, where something's projected and they're not necessarily getting the captions. It's a different experience. So, you have to think about it differently. This is a book that somebody's paging through. You have to decide one picture per page, or are you going to put two. How is this going to flow? How are you going to tell your whole story in 20 pictures? You have to look at it differently. It's a different animal than other contests. You enter all the pages because you have to prove it was published. [In addition to PDF proofs] we threw clips in the back, just so they could see it if they wanted to look at the sections. Especially with this one because people who may have known about it may not have gotten to see it in a printed piece. We did PDFs mounted in the back of the book. They'd get a rough idea of how the pages were laid out. There were some things that we had done daily stories on that weren't in the actual section in the end. Something that had run in April. It fit in differently. We didn't scramble the order too much. We followed the story line pretty close to how it was printed. For Feature Photography, it's a body of work from a story. It's not Breaking News. It's not one event. What keeps you motivated as a PJ? One is just being out there. Being out on the streets, meeting people, making images, doing what I do. That's what keeps me motivated. We can get really caught up in contests and our own work and how we think it's going. It can be a selfish endeavor. When you get back out there, you get on the street, and you cover a story that means something to you or you witness something that you didn't think you were going to witness. Just by chance you pull an assignment that you don't think will be much, and then you get out there it just makes your whole day. Not even because of the pictures, but because of the experience. That's the fun of it. Being around people and documenting life. Also what motivates me is great photographers. I try to interact with friends whose work I really respect and they're really inspiring. If I'm having a bad day or feeling lost, I call them and I look at their pictures. I ask them to look at mine. It keeps me going. It helps me look at things a different way. That's what's so great about the Internet now. When I was coming out of school, we didn't have the Internet. It wasn't very readily available, so I couldn't just go look at images. I would go to the library a couple of times a week and get out a couple of books that really kept me going. I'd look at photo books. Now, there's so much photography on the Web. So many different types of photography. Just get out there and find something you haven't seen before. Look at paintings. Try to be inspired from a lot of different places. Ultimately, that will help your work. Does the Internet "water down" our visual literacy compared to books? Yea, it's been watered down. It's been accelerated. It might cancel itself out because earlier I think it was harder to find good work. Where I went to college in central Illinois it's not like they had an abundance of photo books like the ICP would have in New York. So you weren't exposed to it as much good work as somebody else might be. Now with the Internet, there's so much more out there, but there's so much more you have to weed through to find what really speaks to you. I feel like it's worth it for what you might be giving up in simplicity, but I think it's worth it because there's so much more out there to see. Newspapers are G or PG while many books are seriously R rated. I never thought of it that way. I don't know. I'll have to go look. Because [the Internet] is such a public environment, you have to be concerned about what you put out there. I don't know. I never thought about that. I'll have to get back to you on that one. What do you see in the future for news PJs? Oh boy, that is the question. I think there's always going to be a need for good photojournalists. When I was coming out of school, 12 years ago, people were saying, "Newspapers are going away. You're not going to have a job." Look, we're still doing it. Look after 9/11, some of the most memorable images you saw were still images. I think there's always going to be a need for it. The venue's going to change. Every paper now is talking about the Web. Everybody is talking about video. Sound is a new element. I can't tell you where I think it's going to go, but it's going to go where we take it. Do we want to sit back and let technology dictate where the industry goes? Or, do we want to embrace it and we dictate where our industry is going to go. Instead of letting some people who might not know anything about journalism try to dictate what our job is going to be, I think we have to embrace the technology and create our own future. With unlimited Web space, do you see great photo essays of the golden years returning? Sure. Yea. Why not? You have unlimited space. Why can't it come back like that? I don't see why it can't. I try to be pretty optimistic about it, and I try not to dwell too much on it. I don't want to take a synical view on it because I feel it's counterproductive. But I don't see why it can't come back like that. There is so much great work being done on the Web. Look at newspapers and see what people are doing, but you look deeper and there's just a lot of great work out there. What is the importance of photo stories to new photojournalists? There are a lot of different ways to tell a story. I would say telling a picture story, that's the most important thing that we do and that we should be doing. We don't always get to do it the way we'd like to in the newspaper, but that is the most important skill that a photographer should learn. Even with single images - the images that come from stories of really getting into a subject and spending time on it - spending time getting into people's lives, that's where the deeper images come from. Whether it's a single image or a whole story, that's where all the great work that you see comes from. It comes from stories. It comes from spending time. I think - especially for younger photographers - that's something that they should aspire to. I mean if somebody is interested in sports, then they should go do sports. But some of the greatest sports photography goes deeper off the field and beyond that. That's the most important part of what we do. It shows passion for a subject. That's when it really comes through - somebody's passion - because they're committing to something. It's not just a quick thing. That's not to say beautiful, powerful images can't come from quick moments and quick stories. If I'm looking at somebody's work, you can really see where their passions lie by their stories. That's what they really want to commit their time to and their energy to. That's what we should be doing. Please read Todd Heisler's brief biography as well as Part A of this interview. Please talk about the importance of photojournalists also being effective writers. Every photojournalist should try to write stories and try to be, at least, a decent writer. It makes you a better photojournalist. It makes you a better photographer and a better journalist. It makes you more astute. It makes you more observant. It makes you listen. I've found that pulling out the camera and listening can really help your photography. It can help get you toward better images because you become more in tune with the subject and what the story is. That helps me especially in that situation. It's a different way of thinking. You're using a different part of your brain, and it makes you a sharper journalist. It makes you look at facts. Obviously your captions are important, but [writing] makes you sharper. Sometimes. It depends on the project. The paper really encourages us to do that and I try to do that as often as I can especially with a project. That just goes back to what I was saying earlier, collecting quotes and collecting information obviously makes you a better journalist and photographers have to be good journalists. In an abstract way, it helps your photography. For "Final Salute" it's a lot different because Jim and I worked very closely through the whole thing. At the end of the day, I would show him images and he would read me quotes. That would keep us on track. It was a good way to mark where we were in the story, what we were accomplishing and what the story was. Did it sharpen the story? Yea. In the end it did. In the middle it was pretty overwhelming. It was just so much that we were seeing and hearing. It can be pretty overwhelming. But, it definitely helped. When we finally put the story together and we did the captions, Jim had all these amazing quotes that elevated the picture. It made me understand the situation. It made me remember the situation a lot better too. The one about the Burnses opening the boxes is just such a beautiful quote. 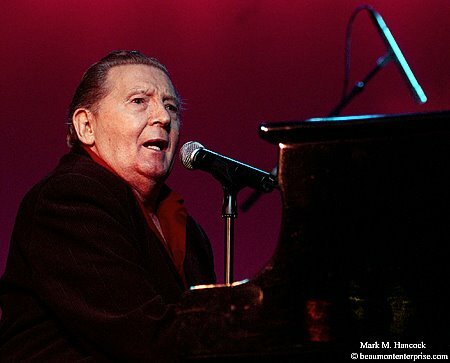 Where Bob Burns says, "I just don't want to hurt." But, he doesn't want to forget. They just guided us through the story while we were telling it. Please talk about the airplane scene. That photograph came from a quote. I had photographed that scene a couple of different times. The first time, from the angle I had, I couldn't capture the faces. I just couldn't see it very well. But that quote drove me toward that photograph. When he refers to the people in the windows and it's something that he had seen many times. That made me aware to look for something if I was ever in that situation again. The second time I was in the situation, the people weren't on the plane. So you couldn't see it, but the third time obviously you could see it very well. I don't think I could have missed it, but because it's such an emotional situation, there's a good chance I could have missed it if I didn't have that quote in my head. And to know for the story how significant the people looking out of the plane is to the story. Please talk about your collaboration efforts with Jim Sheeler and Bill Johnson. I like working with somebody because I like to share my ideas, and I like to know what their ideas are. Having somebody else there who can be another set of eyes helps tremendously. I've known photographers in the past who hate it when reporters will tell them about pictures. They're not always good ideas. They say, "You should come over here and look at that." I like to be open to that because you're a team and you have somebody that might guide you to something. We're very focused on something and we're waiting on something that might not be panning out and we could be missing something very significant. Working with a writer, they're looking at things differently. They have a totally different way of looking at things. That can help guide you to better photographs. Some reporters are better than others at that. Working with Jim was always great because he works like a photojournalist. He's very observant and he listens and he steps back. When he needs to sit down and do an interview, he doesn't do it until the situation is overwith. He doesn't stop people in the middle of a situation. A lot of photographers see a situation unfolding and a reporter just isn't astute enough to see that something's really happening and they'll interrupt it. But Jim, he writes scenes. He writes what he sees. He can see that. With him especially, he could guide me toward situations that I might have missed through his reporting. And I helped him too. I would tell him things that I heard. Maybe it something that wasn't a direct quote, but it was something that I could tell him, "Maybe you want to talk to them about this." Or, "When you weren't here, they did this." When he wrote the story, he went back and looked at all my images so he could remember what things looked like. You have somebody by your side. There were a lot of mornings where we woke up and had nothing to do, and he would say, "What do you want to do?" I would throw out ideas, and he would say, "Great. Let's do it." Bill welcomes great ideas. I think we have a responsibility as photojournalists to keep our end. To be journalists and contribute ideas - what we see and what we know about subjects because we have to be there. Reporters don't always have to be there. What's so great about Jim is that he wanted to see it. He didn't just want to hear about it, he wanted to see it. I have a huge amount of respect for that. Please talk about "quiet" images. When I started - I think with a lot of photographers starting out - you're taught to look for "the moment." You go for the obvious moments like peak action or peak emotion - a person with their mouth open is surprise or whatever. I found that there's more to life than just peak moments - especially this story. To witness these scenes, they're very quiet and slow and I wanted to capture that. I've always been drawn to quiet images because I like to look for the moments-between-the-moments and the things that people would overlook. I think there's significance there as well. They're all moments in time. This story especially, that's what it felt like. It wasn't all just total screaming and anguish and tears. It was a lot of very slow, very quiet times. A lot of times it was people just sitting. The way the Marines move when they're performing these ceremonies, they're very slow and methodic, and I wanted to photograph it that way. Do you rely on light for these kinds of images? Light definitely. I'm really passionate about light. 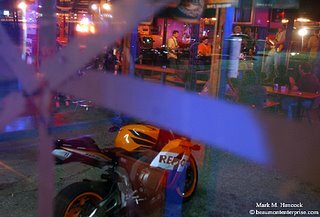 In really, really low light - there were a lot of images shot in very low light, but I really try to capture the light that's there and work with what's there. It's harder to make it work, but using a strobe in the story was not an option. But the payoff really created the mood that you see within this piece. It was all hand-held. I probably should have used a monopod in some of these situations, but I didn't want to draw anymore attention to myself. I didn't want to move. I didn't want to be slowed down and have cumbersome equipment. I felt like a monopod would be one more thing to get in the way and slow me down. I didn't want to be banging around. Like the night when I shot the airplane photos, we rode in the limousine with Katherine and her friends to the airport. It was moving in that situation. [I was] riding in the car with somebody, getting out and trying to move a lot slower and quieter. I didn't want to be dragged down by lots of equipment. [Digital cameras are] great cameras for the image quality - being able to shoot 1600 and the image stabilizers definitely help, but the scene when Katherine opens the casket... [the noise] didn't bother her. She was just so immersed in the moment. Major Beck brought it to my attention later on about how loud my cameras were. I think it really bothered him. I understand Major Beck had a significant influence on your story. Please talk about Major Beck's involvement in the story. For the story and the written part, he's the one who could really articulate this situation, this story better than anybody. It really affected him on such a profound level. He wanted the story to be told and access was because of him. He would introduce us to families. He was also our guide in this - like our emotional guide. He showed us all these minute things that were happening - all the emotional things that he had seen and that we were seeing. There are things that you can miss, like the airplane photo. He really guided us through a lot of situations. It was pretty risky for him to open this up for us. We talked about "perception." He might perceive a scene one way and Jim might perceive it another and I could perceive it another way. Somewhere in the middle, those perceptions overlap and that would be the truest representation of what we were seeing. He was very protective over the families. He says at one point in the story that by notifying these families, he feels like he's causing them this pain. So he was very protective of their grief and how they would be represented and that we were going to be sensitive to that. In a lot of ways, he showed us what the story was all about. 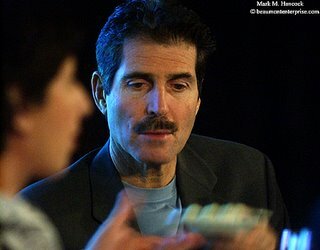 After nearly being killed in Iraq did the dynamics of your relationship with Major Beck change? He knew [about the IED] because he saw it in the paper the day after it happened. We never talked about it in specifics, but I think it showed how dedicated I was to telling this story. It changed. I don't know if part of that was because of time - that we kept spending more time together. I think it drew us closer in many ways because he knew that I was gaining a deeper understanding of all this. We never really talked about it too specifically. Just the fact that I had been through that, I think he really respected that. Please talk about "being a human first" and how it applies to your personal and professional ethics. It's about what my presence and my taking images - especially in times like this when [it's painful for] people - that made me look at how much of this do I need to be photographing. I really tried to get what I needed to get and then fall back a little bit because I didn't want to make the pain any worse. This story made me so much more cognizant of what I see in front of me and try to gage what people are feeling and when it's time to put the camera down and listen or just leave. Some cultures believe that taking somebody's photographs is taking their soul. I don't believe that, but I believe a really great photograph captures somebody's soul. That's very personal to them. That's a gift. They're giving. They're exposing themselves on such a deep level. That's where responsibility comes in - of trying to be true to them and be sensitive of how they're represented. You have to be a journalist and you don't want to hold back. You can't sacrifice your journalistic integrity, but you can still be sensitive to people and still get the message across from the images. If you don't care, people know. Was Katherine Cathey with you when you were announced as the Pulitzer Prize winner? She came after. We told them the weekend before that we were finalists. We decided, if we do win, we wanted to have them to the newsroom. John Temple - anytime anything significant happens - he always likes to have a meeting in the afternoon when the day shift and the night shift overlap. We told them we wanted to have them in the newsroom with us when we had this recognition. It's a ceremony. We were going to have champagne and whatnot. So we wanted to have Katherine there. Major Beck was there. Terry Cooper, her son was the first service member killed in Iraq from Colorado in the Iraq War. Jim Sheeler - that was the first story he had done on the Iraq War - so they had become very close and her story had really affected Jim. That's kind of where "Final Salute" came from. It came from all these stories. So we wanted them to be there to know that they're a part of it. In a way it's their's too. Did they take pride as well? They did. They did. We had been in touch and we followed up when Katherine had her baby and she really liked the story and felt that it was accurate and all the other families really liked it. We knew that they were proud of this story, but I still felt awkward winning an award for this. I'm very honored, but it still feels a little awkward and I wondered how they would feel about it. They all said really amazing things about us winning. Katherine said she felt that we really deserved it. [She said], "These two awards couldn't have been given to anybody other than these two guys." That really meant a lot to know she felt proud of it. Terry Cooper said similar things and that this was another memorial to her son. That really meant a lot. We had champagne and stuff, but we didn't go nuts with it. We wanted it to keep a certain level of respect to what the story was. It was tradition and we wanted to have a toast. That's what we did. An IED hit the Humvee with you in it. Did you take any extra precautions in the vehicle? What I found out was there are a lot of things to know. I found out we were the first patrol of the morning, which is the worst possible patrol. That's when all the IEDs go off right at dawn. We were the second vehicle, which is the worst vehicle to be in. We were also one Humvee in a convoy of a Bradley, a Humvee and a Bradley. They're going to go for the Humvee. Generally, they're not going to go for the Bradley unless it's something really big that they have. So, the deck was stacked against us, but we didn't know till afterward. But, driving around in a Bradley all day, you don't get to see much. You're stuck in the back of an armored vehicle and you can't see anything. I've made cool pictures of the guy riding in the back of the Bradley. But after 15 hours, how much can you send? I learned from that. I also learned how to react after it happens from asking and really paying attention when people talk about convoy security and what happens if there's an attack. You really need to know what to do. You don't just want to be sitting there. When everybody's running, you need to know. So, I would say to somebody, "Ask questions." Ask what to do. I don't think you want to go into a situation like that blindly with no knowledge of what you're getting into. Please talk about shooting under those conditions. The photography part of it - the technical part of it - in a way, that didn't even exist. That should be something that happens on instinct. The first couple of frames I took, I didn't even remember to focus the camera because I was so jarred after it. Your safety is the most important thing and then trying to get at the images to document something because that's the only reason you're there. The only reason you're there is to make pictures and tell this story. If you can't do that - if you're not going to do that - then you just risked your life for nothing. That was definitely a motivating factor. The adrenaline pushes you to do the work, but the actual photography aspect is instinct from knowing it, from doing it for so long. Part of that was necessity too. We were pretty far from anybody. I was going to stay with the guys that were in the vehicle and what they were doing. I wanted to be where they were. You really don't want to go running down the road after that. I found out later that I broke my finger, but I really couldn't tell at that point. After that happens, you check yourself out, see if you're bleeding. You have no idea. Initially, you're thinking worst case scenario. Then, if you're able to get up and run, you're thinking, "Well, I don't know if something's wrong with me." You're just on adrenaline overload at that point. You need to get a good flak vest. You can get a decent one now - just like the military uses - I think those are probably $1,000, maybe a little more. You want to get a good flak vest, but one light enough that you can move around in and be able to run in if you have to. You want to get the right kind of body armor that's geared toward what type of rounds you'll be seeing - I think it's Type 3 or better [with a heart plate]. They improve [body armor over time] and I don't want to send somebody in the wrong direction. [Get a] decent Kevlar [helmet] and for safety, that's key. Equipment-wise, I don't want to bring too much equipment. Two bodies, I like to have a back up body just to leave in a backpack in case something goes down. [Take] minimal lenses, like a zoom on each camera - a wide zoom and a telephoto zoom and a converter. You're climbing in and out of vehicles so much that you want to be able to move and not get snagged on anything. Laptop. We used a satellite-modem. That's great. I could put everything I needed in a backpack and actually carry it. If I had to carry it quickly, it wasn't too cumbersome. I would bring an inverter. He would bring an inverter. I would bring extra cables for everything - extra cords. We both used Macs. Instead of having a Mac and a PC, we both used [Macs] in case mine got crunched or something, I could use his. A small, external hard drive so you can back-up your images. Minimal clothes like a good pair of boots and a back-up pair. We were out once where we were walking up to our knees in like sewer water, and I had my best pair of boots on and didn't have a decent pair as a back-up. Some people are different. I like to carry everything with me. If I [must] move from one vehicle to another, or I have to go, I like to be able to put everything in two backpacks, so if I have to carry it all - into like a helicopter - I like to be able to carry everything with me. I don't want to rely on somebody to carry my gear. Some people, like Rick Loomis, he was telling me he brings almost no clothes: two pairs of pants and two shirts and then a lot of socks and underwear. He travels really light. The first time I ever did it, I called Loomis and asked him, "What do I do?" What I say to somebody is if you have a question, call somebody you know has been there. Things change. Everywhere you go, try to call somebody who's been there recently and ask them what's different. I've never been in a situation where I've needed to make too many judgment calls. I haven't been around them when they made a mistake. Like the photos that Chris Hondros made where they shot up a family at a check point. I've never had to make those calls. You don't know what you're going to do until you're faced with it. I've had some situations where I've had a commander - actually, we had a very good relationship - who asked me - when we got hit by an IED - he asked me not to mention that a certain person was there. I told him, "I can't hold back. You asked me to tell the truth for better or worse and now you're asking me not to tell the truth, and I can't do that." We actually worked it out and he understood. I had to make the case. I said, "Look, I'm going to file these pictures. I can't not do that." I think the ground rules are pretty fair. I've been pretty lucky where I've never been faced with anything where anybody told me to not make photographs or anything like that. I've had this conversation with people - I was never faced with it - but I told them, "I'm here to do a job and if something goes down, I have to document it." You have to think about what you're documenting. For instance, somebody asked me, "Well, if my guys are lying down on the ground bleeding all over the place, are you going to help or are you going to shoot photos?" My line is, if I'm the last person standing between somebody's - and I don't care if it's an Iraqi or an American - life and death... because I helped or because I didn't help, somebody would die. Then, I feel like I have an obligation to help. But if there's help, everyone is being attended to and my presence does not change that, then I have to do my job. I've never been faced with that. I think it's gray. I've talked to a lot of photographers who had to make split-second decisions, and they've helped. As a human being, you have to think about that. What's harder to live with? The fact that you let somebody die and you got a photo or you missed a photo and you saved somebody's life. I'd rather live with saving somebody's life. Consider Leeson's treatment of dead civilians. 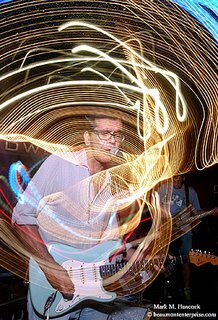 I think the way David made those photographs was outstanding. I'm going to sing his praises. I've never met him, but everything that I've heard him say about how he worked over there, I'd agree with totally. What's the point of showing certain things? What's it going to do? There's a way people see the impact of war. There's a way people can still see it, but you want people to understand that impact. If you're editors aren't going to be able to use it, people aren't going to see it. What's the point? Also, it's about dignity too. That's what he's talking about the dignity of showing somebody's face. I would follow the steps something similar to how he handled it. Fortunately, I haven't been faced with that. I don't care who it is or if it's someone I've never met before or who they are, they're human beings. With all that being said, I'm not a war photographer. So, I don't think I'm an authority on things like that. I wouldn't consider myself a war photographer. That's not the bulk of what I do. I've done a little bit of it, but I wouldn't want to take that title. There are so many people that are so dedicated to it and do it so well. I think they'd be better fit to answer those questions. Please see Part C of this interview. Please read Todd Heisler's brief biography. I didn't go to a photo school. I was very lost and had to feel [my] way through it. It's pretty hard when you don't have a program like Western [Kentucky] or OU behind you to push you along, and tell you who to talk to, and tell you what to ask. You have to feel your way through it when you start. First and foremost, learn to do the small things well. Don't look at any assignment and say it's too small or it's insignificant. One thing that stuck in my head that somebody said to me early on is "every assignment is important to somebody." It doesn't matter where you are, you can make great pictures everywhere. You should just find the little stories in your community. The Pulitzer entry that I had, that's something that's happening across the country. If you meet the right people, you could do it anywhere. Reach out. Reach out to people you respect and welcome criticism. Try to get as much input as you can - not just about your work, but where you're going, your approach, the stories you're working on, your ideas, everything. Try to talk to people and learn from the people around you too. I learned starting out at really small papers - just kind of thrown out there - and I had to learn by watching people from the bigger papers, trying to figure out how they did things and trying to learn from my mistakes. That's key to learn from your mistakes. Look where you succeed, but where you might fall short and see how you can improve on that. The key for me, throughout my career and how I've come up, is to be passionate about every assignment that you get. Be passionate about the small things. Any big story you might do is all about individuals. It's about how individuals are affected by larger issues. Especially for young photographers - and I've found myself in this even with the Iraq War - it's an immense subject, very complex. Where I found my voice is with this project. Going back into my community and seeing how it affected them. [I was] looking at people in my community that are affected by the Iraq War. It says a lot about the larger issue. With this project especially, we really didn't want to inject politics into it. We wanted it to be apolitical. I think if we had gone in that direction, people would have lost the idea of the story. People would have latched onto the political parts of it. I don't think that's what this is all about. This was all about individuals and how they were affected. How should more mature photojournalists approach the market? I think you want to seek out opportunities. The whole reason we're doing this is because we want to do the work. We want to make photographs and we want to tell stories. The best way for me was to keep shooting and find those things that I'm passionate about. What's great about photography and photojournalism is that you don't need an assignment to get started. You don't need somebody to tell you where to go to find a story and to go do the work. If you're passionate about it, and you have something to say, then the rest will fall into place. You really need to get started at doing the work. While you're doing that, seek out people you respect. Almost everybody that I have contacted in this business at any degree in their career has been pretty open to looking at work and wanting to talk about it and giving you feedback. If you don't go to a school with a lot of professionals nearby, you don't have a big paper nearby, you can - especially with the Internet - you can e-mail people. You can contact people all over and see what makes them tick and try to figure out where you fall into all that. Welcome all that feedback. How important is it to have a degree in this field? Ed note: Todd said a college degree is required for most PJ jobs at major newspapers, however there are exceptions. I don't have a degree in the field [of photojournalism]. I know great photographers who have biology degrees. You need to have some sort of education so you have an understanding of the ethics of it. You have the understanding of the fundamentals of, say, working for a newspaper. There are things that you need to know about captions - just good journalism - things that go beyond just knowing how to work a camera. So, I think you need to seek out some sort of education, whether it's going to workshops or taking classes, but you also have to be well-rounded too and be curious about other things - other subjects because that's where your ideas come from. What's important about photojournalism and why do you do it? I do it because I want people to notice things about their own lives and their own communities. I really do it because I want to tell stories, and I want people to notice things that are happening in the world so maybe they'll stop - it's such a fast-paced environment right now, where people are bombarded with so many images - but if I can make somebody stop for just a short time and really reflect about something, then I've done my job. That's what keeps me going: knowing that I can make people look at an everyday thing in a different way. How has being a photojournalist affected your life? There's things outside photojournalism how it's affected my life. I've been able to see things that I would never be exposed to for better or worse. So, it really changes my outlook on how I look at the world. During this project, it really changed my life. You look at the things you take for granted. Photographing a woman who just lost her husband makes me look at my relationship with my wife a lot differently. I try not to take it for granted. This career is a real time commitment. It takes you away from your family. You don't really have a 9-to-5 job. So it can be challenging in terms of having relationships with your family. In many ways, that's made my relationship stronger. 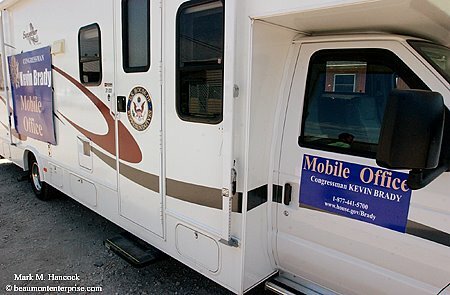 Ed note: Todd met his wife Kelly in college. She was a journalism major and is now in public relations. She has a better understanding of it. Although I'll admit early on, it was challenging. It really puts a strain on your relationship - especially when you're starting out because you're spending long hours at the paper, and you're trying to feel your way through it. Trying to hone your skills takes a lot of time. That can put a big strain on your relationship. Even now, I don't travel as much as some people, but I do a fair amount of traveling, and it definitely takes me away. You have to find a way to balance your time, but also when you're in town you have to be there. That can be challenging to shut it off - to stay in two different worlds. It's like a lifestyle. It's not just a job, it consumes a big part of your life. You really have to think about it a lot. As I become more experienced, I try to be there when I'm not working, I try to be there emotionally. I try to take a break from it. Especially doing the work I did last year, it's hard not to bring it home emotionally. She's been great in terms of listening and talking. I tell her how I'm feeling all the time and she listens. It's not something that I can keep to myself. Everyone has a different way of dealing with what they see. I suppose you could shut down, but I don't want to live like that. Definitely. It really takes a toll. [Photojournalism] is something that I really immerse myself into - like with that project last year. It was very emotionally draining and that doesn't go away very easily. So that's really changed me. It's also changed the way I've looked at my own work. It's changed the way I try to approach people. I try to be more sensitive. With this job, you can't always do that, but it made me think about what my role is as a photojournalist and how much I'm taking from people because as a photojournalist you're taking something from somebody. Great photographs are a gift. So you have to be very careful what you do with them. That's a change from your previous view on make vs. take. Yea. I think I've changed if I look back to how I started. It's really increased my awareness of the responsibility that we have to be true to their experience and try to accurately represent people. What are the responsibilities of a photojournalist? Your responsibility is to tell the truth. The truth can be hard to find at times. You and I might look at the same situation completely different, so I don't know if we can completely get to the truth. I think our responsibility is to get as close as we can. I think our responsibility is to communicate things people don't really know about. We have to document life. We have to be a mirror for our community. If you're talking technically, you have to be on top of the technology. You have to understand who your audience is. You have to know the technology - it's changing so much right now. We're at a time of slow transition where everybody is talking about video and the Internet. Young photojournalists really need to get on that to embrace that technology and change. Sonya Doctorian is really taking the lead with her video projects. She splits her time as projects editor/photo coach and video producer [at The Rocky Mountain News]. You don't want to be left behind. You can either let the technology dictate what your job is going to be or you can learn it and try to be at the forefront of that and you can determine what your job will be. Look at people like David Leeson and other people who are doing such great work on the Web. They're really taking the reins. They're the ones who are pushing it in a direction as opposed to waiting for it all to happen. Then, you have to catch up and figure out where it's going to go and how you're going to work within that. Emotionally, if your heart's not in it, if you don't feel it in your gut that you want to get up every day and do this, then maybe you shouldn't do it. It can be really challenging. Everybody has to do things that they don't like to do every day, but you also get to do a lot of things that you love to do. You should love to do it. If you don't really feel it in your heart, it seems like it would be a waste of time. I don't look at it as a job at all. It's a lifestyle because it consumes your life, but that's not necessarily a bad thing. Look at what you get to do. You get to see things that average people don't get to see. You get to communicate what you see to the public. You've got to care about people. You have to be pretty open-minded. I think people recognize if you don't care. You have to be conscious of what the responsibility is to the people that you're documenting. Not a lot of people get to be in the paper. That's a big deal to people. So, like I said earlier, every assignment is important to somebody. That's a big responsibility. That's one of many things. Everybody brings different things to the profession. There are a lot of different types of photographers, who bring different things emotionally or intellectually to the business. For me, one of the really important things is to care about people. That's what your job is. Your job is about people. [It's] about interacting with people and documenting people's lives. I love meeting new people, I love being around people. That's really what keeps me going. [Photojournalism] is so many different things. It depends on what publication you work at. It depends on what kind of work you're doing. It can be a force for change in the world. Things can't happen in a vacuum. The person who I want to get to is the person who is maybe too busy. People have kids. People have things to do. That's who I want to get to. I want to get to the people who are too busy to pay attention to what's happening in the news. If I can get to them and have them look at the world in a different way, then I've been successful. How can I get to them? Jeez. That's a tough question. A friend of mine said to me when I first graduated college - I was working on a job as a painter and I had done this story when I was an intern about this single mom, who was putting herself through college, and I was really proud of this story that I had done. I showed him this story - this was somebody who knew nothing about photography - and he glanced at it for a second. Then he put it down and he moved on. I was like, "Why aren't you looking at that?" He just looked at it for a second. He said, "Well, they just look like pictures in a newspaper." That was something that really got to me. I thought, what does that mean - they just look like pictures in a newspaper - I guess they were so average that they didn't speak to him at all. They didn't even phase him. Then I thought about this woman and how important the story was to me. So, that really challenged me as a young photographer to make pictures that go beyond pictures that look like pictures in a newspaper. To try to make photographs that make people stop - whether it's from the beauty of something or the emotion or the reality of something people had never been exposed to before. That's challenging. You can't do that every day. You can try, but you can't do that every day, but it's something to aspire to. That was my goal from the start. Does access have something to do with that? Sometimes it has something to do with it. With "Final Salute" it did. We had to get access to something very, very personal. So that was access. You're showing something to people that they will probably never see. But it isn't just about access. You can do that walking down the street every day. Look at the letters that we get at The Rocky Mountain News - not just me, but everybody - about very simple, beautiful photographs about something somewhat mundane. They drive somebody to write a letter to the paper. That's pretty special because people don't take the time to write letters. You can do that with anything. That's the background that I came from. I worked in community newspapers, and I worked in the suburbs - really small suburbs - for years. It really opened my eyes to that when I worked at Copley. Editor Mike Davis told us, "pretend you're working for National Geographic. Photograph this community like you're doing it for National Geographic." That opened my eyes and changed my approach. I looked at everything as significant. Every life is significant. Everything you see, just because it happens in a suburb that doesn't have a high crime rate or a lot of controversy, there's still significance there. I would love to find the beauty and significance everywhere. Please see Part B and C of this interview. Class of 2006 seniors from Johnson Bayou School prepare for graduation at a church near the school in Johnson's Bayou, La. on Saturday, May 20, 2006. 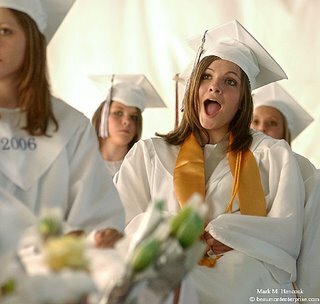 The 15-person graduating class was not able to attend their regular school because it was destroyed by Hurricane Rita on Sept. 24, 2005. Crystan Badon is assisted by chauffeur Frank Johnson of LaChance Xtreme Limo & Coach as the class arrives for graduation at Johnson Bayou School. Johnson's Bayou is located in Cameron Parish. Students attended school at Hackberry High School after their school was destroyed. Johnson Bayou School's Katrina McGee (right) cheers as pictures of classmates are shown during the graduation ceremony in the remains of the school's pavilion. Johnson Bayou School's 2006 valedictorian Katie Young (right) hugs her younger sister Kandace Young (left) after they exchanged gifts in the remains of the school's pavilion. Young received an $18,000 scholarship to Lamar University in Beaumont among other awards. Please see "Seniors go home to Johnson Bayou for graduation" by Dee Dixon. He graduated from Illinois State University in 1994. He is currently a staff photojournalist for The Rocky Mountain News in Denver, Colorado. Images from his Pulitzer Prize winning story about fallen Marines and their families has also won top awards at World Press Photo (1st People in the News Story), Best of Photojournalism (1st Best Published Picture Story - Large Market), Pictures of the Year International (2nd Newspaper Photographer of the Year), National Headliner Awards (Grand Award in Photography, 1st Feature Photography, 1st Photo Essay/Story), ASNE (1st Community Service Photojournalism), Atlanta Photojournalism Seminar (Best in Show; 1st, 2nd & HM in General News; 2nd in Feature; 1st in Feature Picture Story) and China International Press Photo Contest. His work during Colorado's worst wildfire season was part of the 2003 Pulitzer Prize for breaking news photography team. Heisler has also made three trips to Iraq since the war began. He has also won other awards at Pictures of the Year international, Best of Photojournalism and the Colorado Press Association. Todd Heisler is married to Kelly Heisler, a public relations specialist. 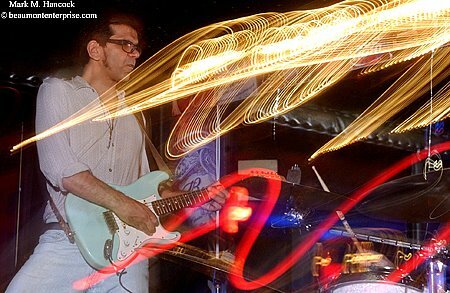 Please also see interview Part A, B and C.
Jack Edery plays guitar during a blues jam at Changing Times bar in Beaumont on Tuesday, May 16, 2006. An ensemble performs and reflects off the Changing Times window during a blues jam at the bar in Beaumont. 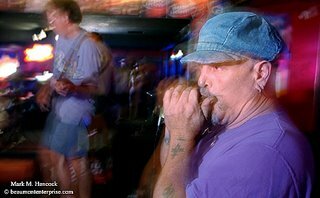 Jack Edery plays with a tip bucket on his guitar during a blues jam at Changing Times bar. Tom Harlan (right) plays harmonica during a blues jam at Changing Times bar. Jack Edery sings and plays guitar during a blues jam at Changing Times bar in Beaumont. Tomas Stargardter, the graphics editor for La Prensa in Nicaragua, has started his blog, agstar photojournalism, with a bang - literally. One of his first posts addresses how to cover domestic riots. 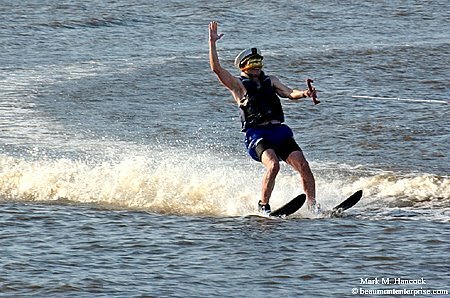 His blog shines a spotlight on a seriously neglected area of the Western Hemisphere. Also, understand English is not his primary language, so give him a break when leaving comments. I think it's great of him to go to the trouble of writing in English so we monolinguists can learn more about our half of the world and our profession. The blog might be a bit graphic for youngsters, but serious PJs will probably like the rawness of the images. Although the riot photos aren't as ruthless as the images Nachtwey captured in the region earlier in his career, the unrest and hostility is still palpable. I've added the blog to my sidebar in the "Foreign blogs" section. Check it out. 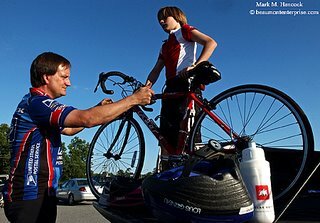 Joe Newmann (left) helps his son Stephen Newmann, 11, (right) before the Ride of Silence in Beaumont on Wednesday, May 17, 2006. The event is intended to honor bicyclists who have been killed or injured while riding legally on the road. Beaumont Ride of Silence organizer Angi Walker (center in red) leads the group in Beaumont. Beaumont was one of 122 American cities participating in the project according to local organizers. 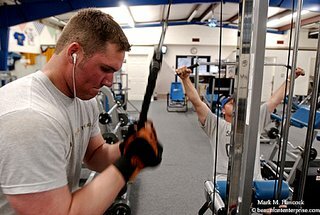 As older and younger generations begin to work out at the same gyms, the battle over music is also feeling the burn. 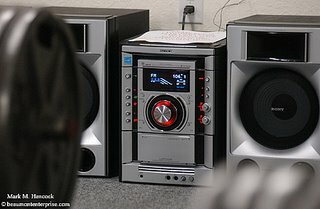 The stereo at Total Fitness in Fannett is set on 106.1 FM on Tuesday, April 18, 2006. A musical cultural divide is widening between Baby Boomers and younger generations at fitness facilities across the nation. Robby Martin of Fannett (top) spots his girlfriend Alisha Winters of Sour Lake (bottom) as she listens to music at Total Fitness in Fannett. Ryan Bevel of Winnie listens to AC-DC music while working out at Total Fitness in Fannett. 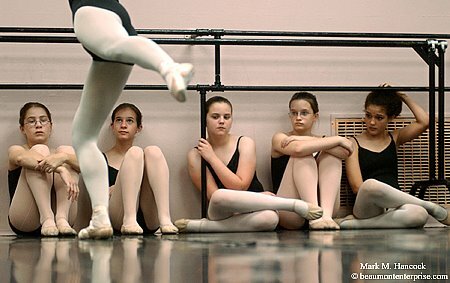 Dance students observe as Remeisha Shade performs during a rehearsal for "Cinderella" at Bonnie Cokinos School of Dance in Beaumont on Tuesday, May 9, 2006. 2nd place, Feature photo, Hearst Honors May clip contest. Dance students observe as West Brook High School student Jessica Reho performs during a rehearsal for "Cinderella" at Bonnie Cokinos School of Dance in Beaumont. Reho has the lead role in the 22nd annual Beaumont Ballet Theatre production. Her sister had previously performed as Cinderella. Remeisha Shade (left) and Katelyn Yeary (center) perform during a rehearsal for "Cinderella" at Bonnie Cokinos School of Dance in Beaumont. The 22nd annual Beaumont Ballet Theatre production takes place May 13 and 14. The reporter's focus was on how younger students observe the movements of older students. In following years, they step into the senior roles. Consequently, the background is more cluttered than I prefer. 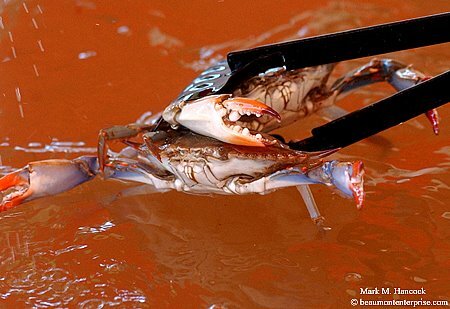 A pair of angry crabs are collected for crab races at the Texas Crab Festival in Crystal Beach on Saturday, May 13, 2006. 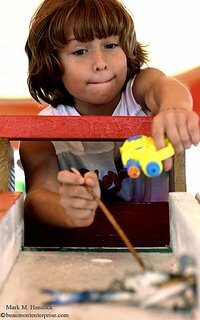 Brody Hebert, 9, of Kingwood tries to make a crab run during a crab race at the Texas Crab Festival in Crystal Beach. Kierstyn Lee, 9, of League City limbos her way to first place in the 12-and-under competition at the Texas Crab Festival in Crystal Beach. Please, see Fayrouz breakroom for more photos. To see all the competitions available for photojournalists, please see the contest calendar. 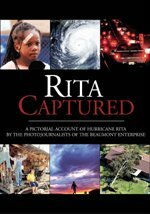 This post lists the recent awards won by this blog (PhotoJournalism) and its author (Mark M. Hancock). The last 20 awards can be displayed simultaneously by selecting the Award-winners link provided here or on the sidebar. Some additional awards are listed on the NewsEagles awards page. * Hearst Honors were changed to annual rather than monthly awards in 2007. 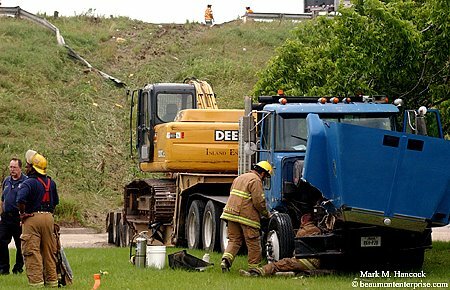 Beaumont firefighters investigate a truck after a multi-vehicle wreck on Highway 69 near the Highland Avenue overpass on Wednesday, May 3, 2006. No fatalities were immediately reported. Traffic was stopped for almost an hour as wrecked vehicles were removed. Springfield Pipeline LLC, a subsidiary of Anadarko Petroleum Corporation of The Woodlands wants to run a natural gas pipeline through Camp Urland in Woodville. The Three Rivers Council of the Boy Scouts of America owns the property and claims Springfield Pipeline offered a below-average price per section of pipe. When the Three Rivers Council asked for more money, Springfield filed a petition for condemnation (eminent domain) with the Tyler County District Court to have a commission determine "fair market value" of the property. 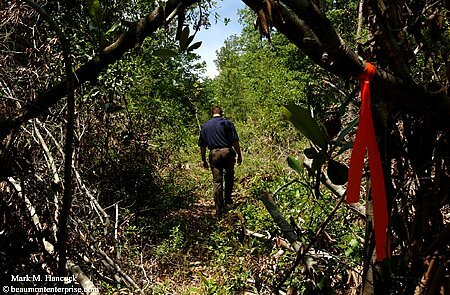 Boy Scouts of America scout executive Jack Crawford walks down a survey line cut through Camp Urland in Woodville on Thursday, April 27, 2006. He said a pipeline company had asked to look at the property, but had not asked permission to survey the property. 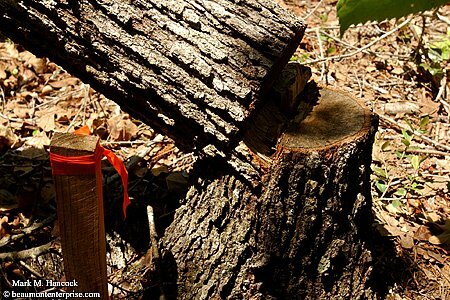 A surveying stake remains next to a cut tree in the disputed area of Camp Urland in Woodville. Scout executive Jack Crawford said a pipeline company was not given permission to cut any trees in the camp. 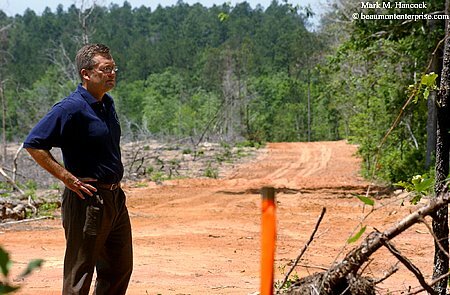 Scout executive Jack Crawford inspects the area where pipeline has already been laid on adjacent land during a tour of the disputed area of Camp Urland in Woodville. He said the pipeline company said they would create a 30 foot compacted soil barrier around the pipeline to prevent tree growth as is visible in the background. The resulting barrier looks like a dirt road. 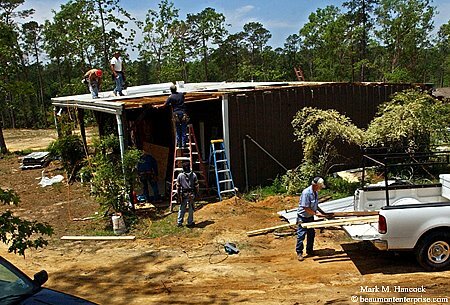 Contractors continue repairs to the trading post and quartermaster station at Camp Urland in Woodville. 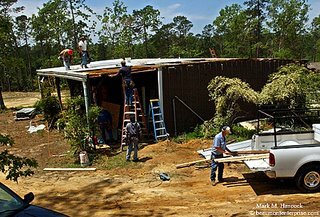 The camp's buildings were heavily damaged by Hurricane Rita. Consequently, the pipeline company contends the price of the land should be lower. 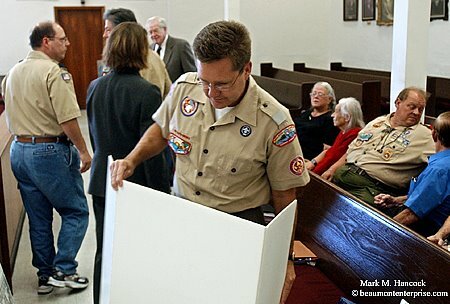 Scout executive Jack Crawford (center) prepares evidence before a commission hearing at the Tyler County District Court in Woodville on Friday, May 12, 2006. The commission granted the scouts $34,000 - $6,500 more than the original pipeline offer on property the scouts claim is worth as much as $137,900.